Blue Cat Audio is a long time player in the plugin market. 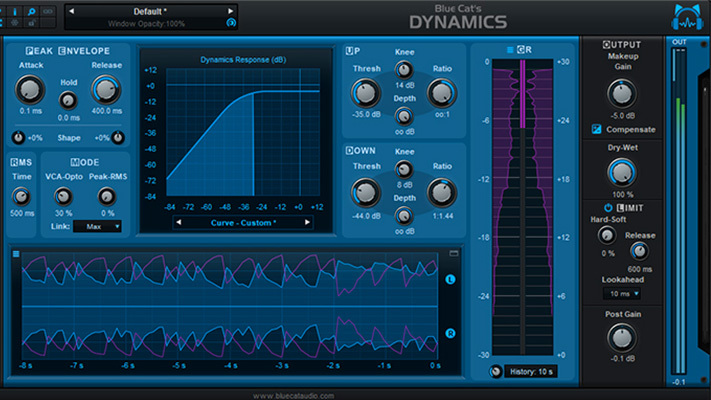 They offer a wide variety of tools, from wild tone-shaping to practical usage, to advanced analysis and patching. 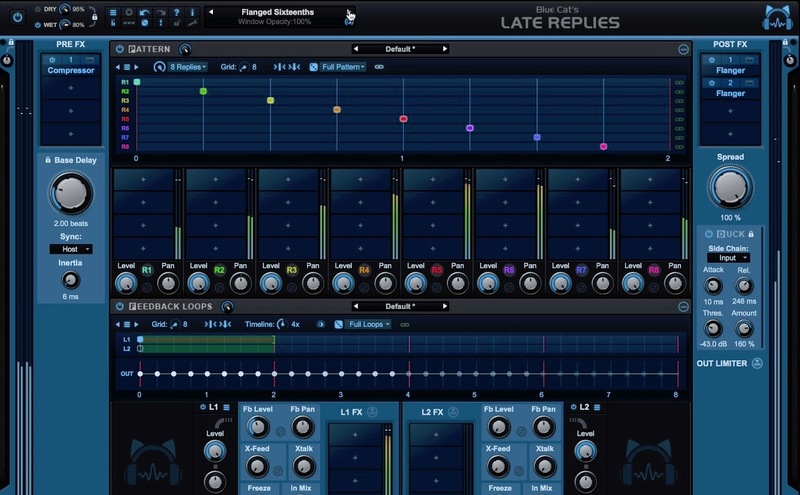 Blue Cat Audio makes a great set of freeware plugins as well as some seriously effective MIDI-generating processors that allow for advanced side-chaining and control possibilities. Their MB-7 Mixer, does all those things and more. At its core, the MB-7 is a multiband processor. However, that just scratches the surface of what it can really do. Each band (with up to seven separate bands of processing available) is an independent processing chain, with individual controls and grouping abilities. Let’s dive in a take a closer look. 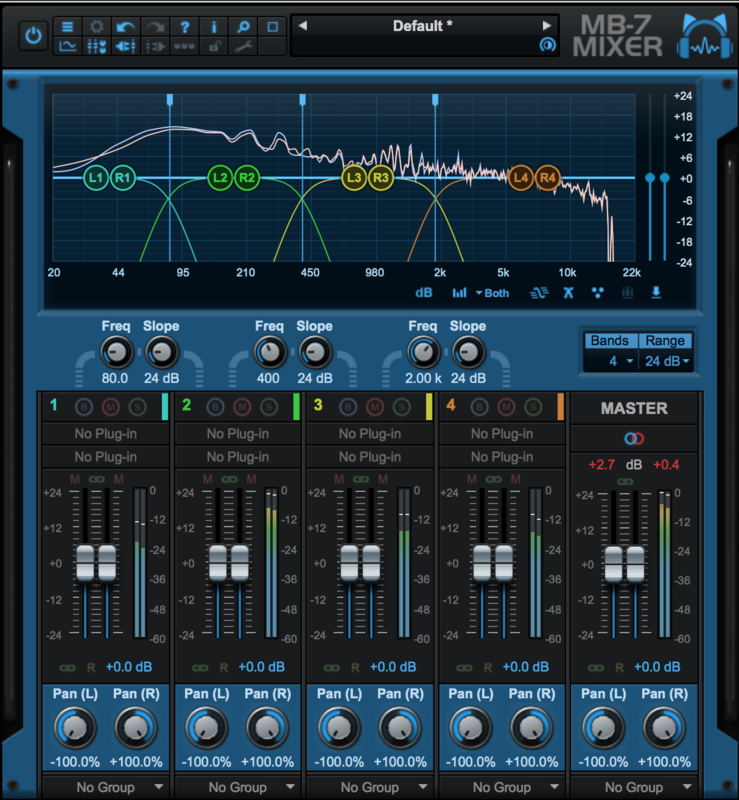 The Blue Cat Audio MB-7 can handle a ton of duties, and as such has a multi-layered GUI. In a smart move, like most Blue Cat Audio plugins, the UI can be resized as needed depending on your screen set up. Additionally, since some users may not be after all of this flexibility, Blue Cat Audio has designed an interface that allows portions of the window to be hidden/shown as desired. While there is a ton of flexibility, Blue Cat Audio makes it easy to only focus on the controls you want to see at any given minute (across the top are a series of buttons that show/hide the various panels we’ll discuss today). Additionally, the entire plugin window is fully re-sizeable (between 70-200%). This is especially useful for users working on a laptop with limited visual real estate. One last feature worth mentioning before we move on to parameters and functionality is the opacity control, which allows users to adjust how “see-thru” the plugin in the window itself is. With all plugin parameters in view, our top panel is the main graph display. It shows us how many bands we are working with (anywhere between 1-7) (See Fig 2), where the crossover points are, what slope is being used in the crossover and how much gain is being applied. On stereo tracks (or Mid-Side…more on that later) each channel is viewable and adjustable here as well. All of the above information can be hidden as well should users decide to and the graph itself is scalable between 12 and 60 dB to best fit immediate needs. Lastly on this window is a master output level control. 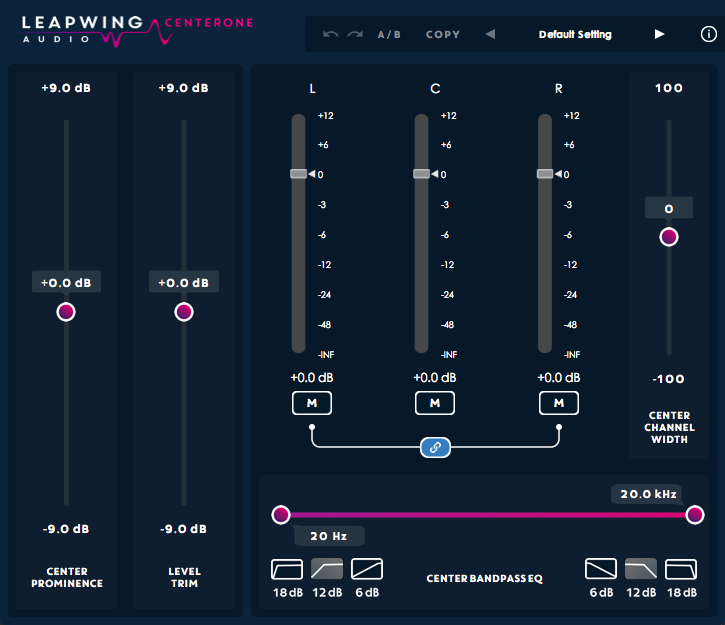 Interestingly enough, users can also load in reference curves to compare/contrast/adjust their mix against. Very useful for reference tracks when mixing or mastering. The graph itself also comes with visual analyzer switchable between spectrum and color or gray spectrogram and is available to view one or both channels. Underneath the graph is where the real power of the MB-7 starts to become noticeable. Here we see more controls and parameters for each band. Up until now, the MB-7 has functioned (albeit very well) as many other equalizers. However, the per band control here is unique and very powerful. Each band functions as a channel on a mixer. Each band has a separate level, pan, mute, solo, offset, and bypass on it. Bands here can be linked, and even inverse linked! Additionally, bands can be added to local groups (so the controls are linked within one instance of the plugin) or global groups (where bands are linked across multiple instances of this plugin on different channels). Another invaluable feature of the MB-7 is that each band can have four plugins instantiated, two before and two after the volume fader. So for example, if a user wanted to apply a tape emulation plugin, but only have that plugin apply its sound across part of the frequency range, it’s easy as can be. MB-7 can run AU, VST, and VST3 plugins which double the value for many users and triples the value for Pro Tools users as they now have access to pretty much any plugin made. To the right of the mixer section is our master channel strip, which allows for pan, balance, and level adjustments across the entire mix, as well as the ability to switch between stereo and MS processing. 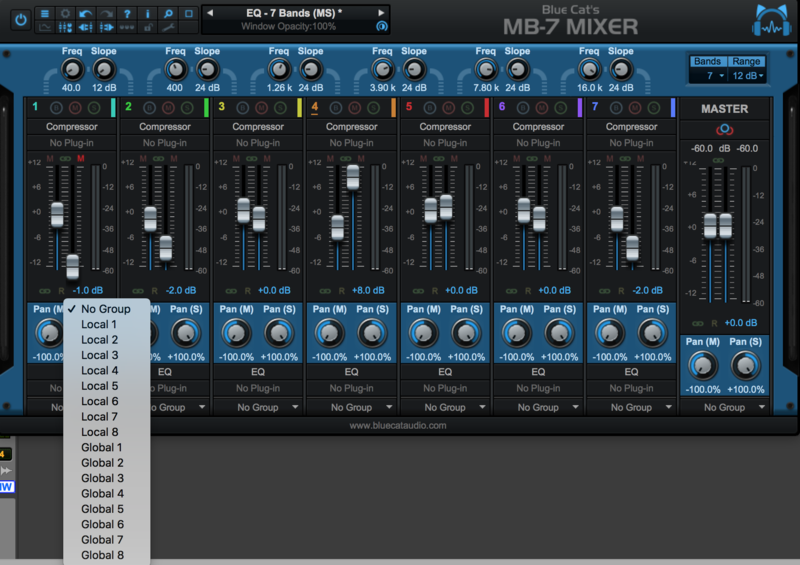 Like all Blue Cat Audio Plugins, the controls and parameters of the MB-7 Mixer are MIDI mappable. 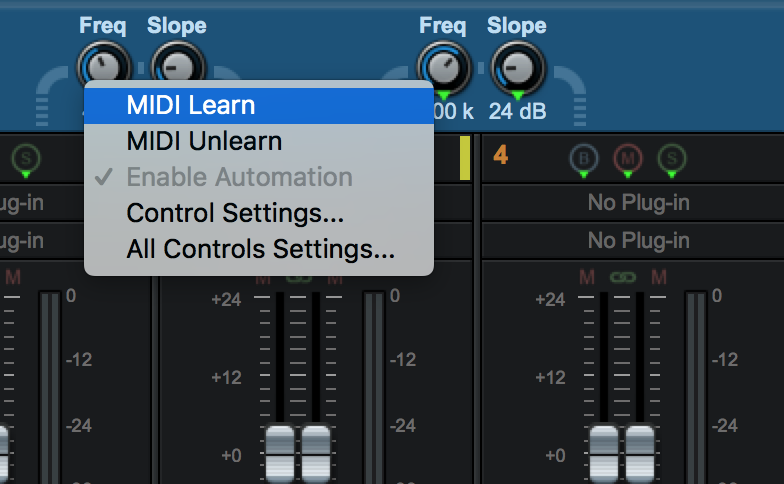 It is very easy and convenient to map any controls using the “MIDI Learn” feature. Users with any MIDI controller, be it a keyboard, or full-blown control surface, can easily port the controls to their hardware. 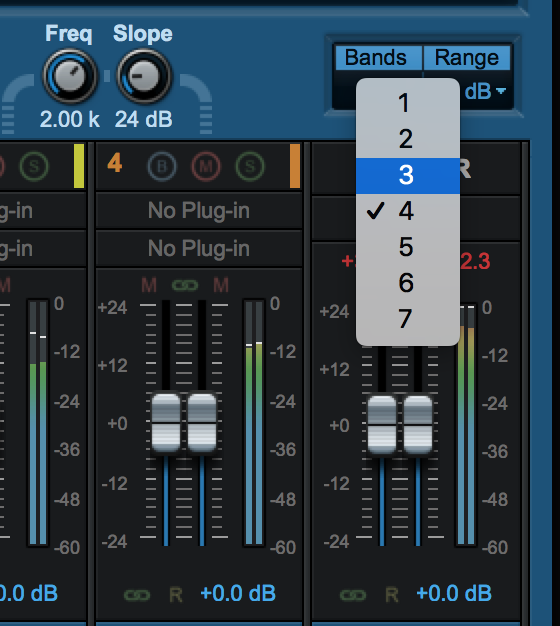 Any users who feel limited by a mouse and like using faders and knobs will instantly appreciate this functionality. The MB-7 Mixer is so intuitively useful and flexible, that really does seem like the only limit is what you can imagine. MB-7 is wonderful as a subgroup/Mixbus processor, or across individual channels. I had particular fun with linking controls. On a bass or drum bus, I very much enjoyed the inverse link controls which allowed me to boost the low band, while simultaneously cutting the low mids. The inverse link for MS processing was also especially useful in this regard giving me width where I wanted it (at the top end) and a more narrow, focused, mono-compatible image at the bottom. In Mixbus and mastering processes, the MB-7 excelled as well. I often love what a particular plugin does to a certain frequency band, but not always how it affects other ranges. The MB-7 is a tweakers dream in this regard as any plugin can be made frequency range specific now. I relished using this on guitars and background vocals to add density and hair to the midrange (via any number of distortion/saturation plugins). On DI bass, this was a lifesaver allowing me to keep the bottom end full and clean while adding all kinds of grind across the top end. MB-7 often had me running even time-based effects in series (something I don’t often do) to get extra depth with just a touch of delay or reverb in the midrange. 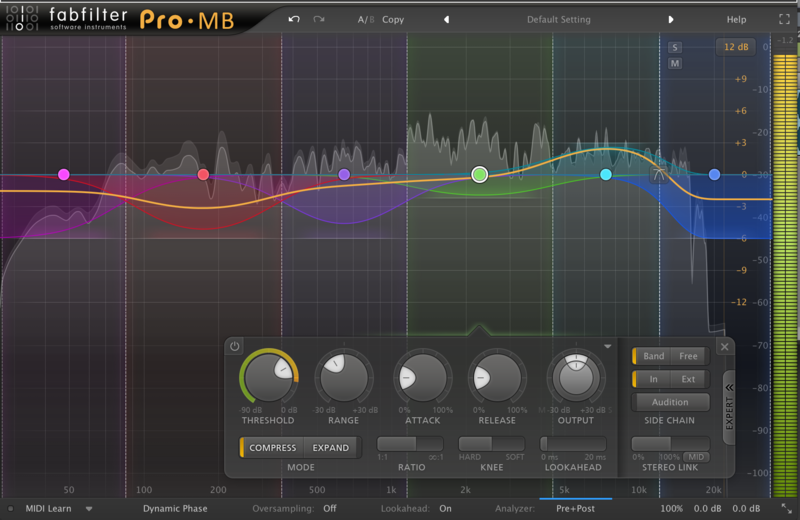 Being a Pro Tools user makes this plugin instantly indispensable. I now have access to any and all AU and VST plugins available on the market. Not being restricted to AAX plugins has opened a whole new world of processing to me. And apart from being able to apply any 3rd party plugin to any, MB-7 comes with many of its own built-in processors including Dynamics, EQ, Delay & Reverb, Pitch, and Phase effects, Modulation effects, and utilities as well. Newer engineers will greatly expand their processing power just by adding this one plugin to their arsenal. 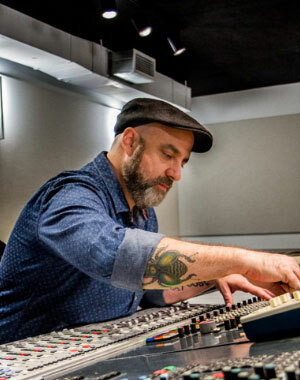 However, even if you didn’t have a single third-party plugin, Blue Cat Audio will still help you find ways to radically shape and alter your tone. Included with the MB-7 are 28 different effects that can be applied within the chain. I experimented with the classics included here such as the gate, compressor, ducker, and eq with solid results. Lots of time-based and pitch-based effects are included in this bundle as well including a flanger, phaser, harmonizer, and pitch shifter. I especially enjoyed mangling with comb filters and the bit crusher. This much control can be overwhelming and tedious to put together each time it’s needed. However, Blue Cat Audio has thought of that and while global presets can be saved, individual channel strips can be put together and saved as well to be recalled on their own as needed. Very nice! All in all, I have very few reservations regarding the Blue Cat Audio MB-7. However, one glaring area that seems to be a missed opportunity is the lack of plug-in slots on the Master portion of the mixer. In my opinion, the most powerful tool here is the ability to use MB-7 as a “wrapper” giving access to other plugin types (AU, VST, VST3) than their current DAW normally utilize. Another critique is the lack of a “Mix” or parallel blend control. It’s always very nice to have the flexibility to go crazy, and then blend in just enough of the insanity to satisfy. While minor quibbles, adding these would allow users full control without demanding another instance of this plugin, or additional tracks. While users may not always require this level of control, having it available is often very nice. Like many engineers, I often find myself working with stems, or sometimes even full music beds and don’t have access to the individual tracks. This can easily tie the hands of the engineer. No one wants to hear any excuse about why it doesn’t sound the way it should…they just want it to sound awesome. Having this level of control means I can surgically fix troublesome areas or just start turning knobs and see what happens. 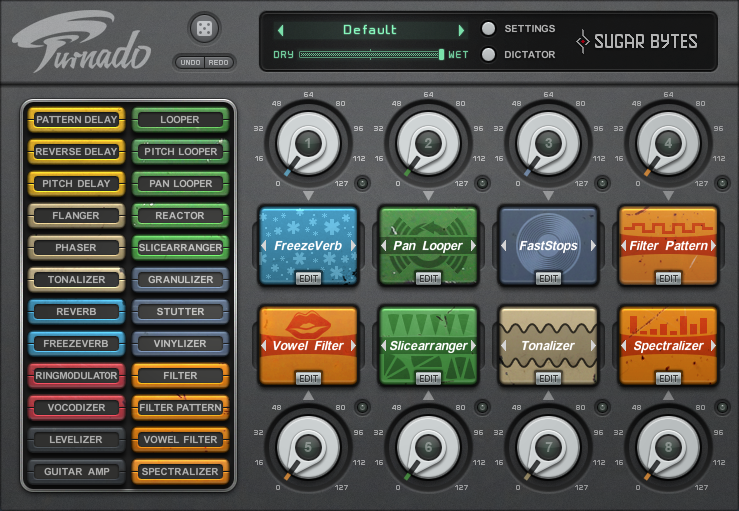 Even the plug-ins within this plug-in can be automated, so there are practically innumerable ways to process your tracks. 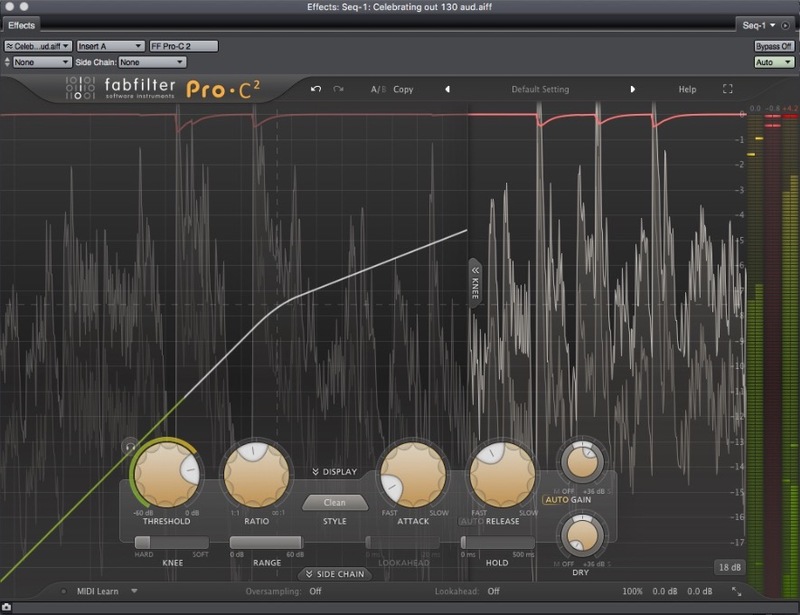 Not all plugins can be equally effective as problem-solvers AND as creative sound-manglers. The Blue Cat Audio MB-7 walks that line.